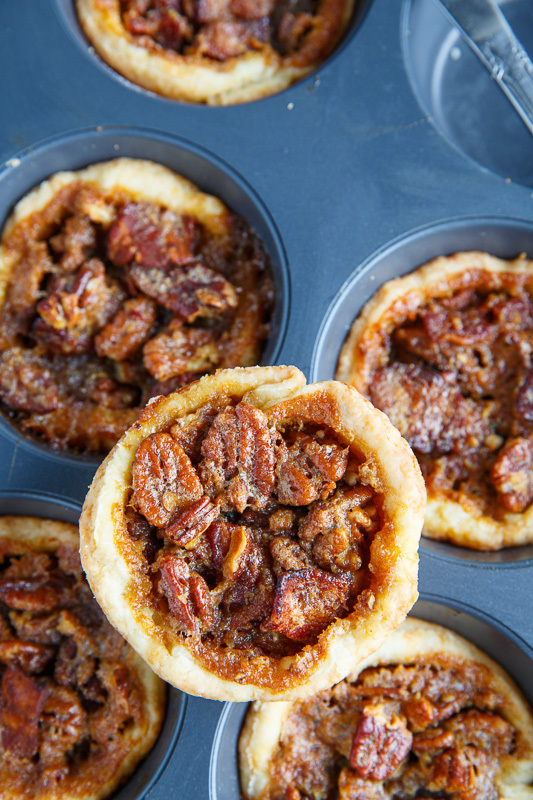 Buttery tarts with crispy all butter pastry shells filled with a sweet maple custard, pecans and bacon. 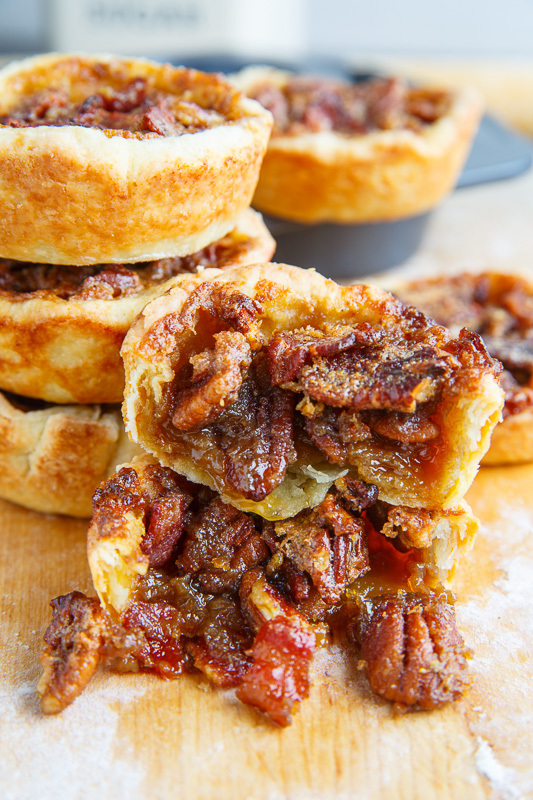 If you can put nuts, raisins and even chocolate in butter tarts then why not my absolute favourite food, bacon? 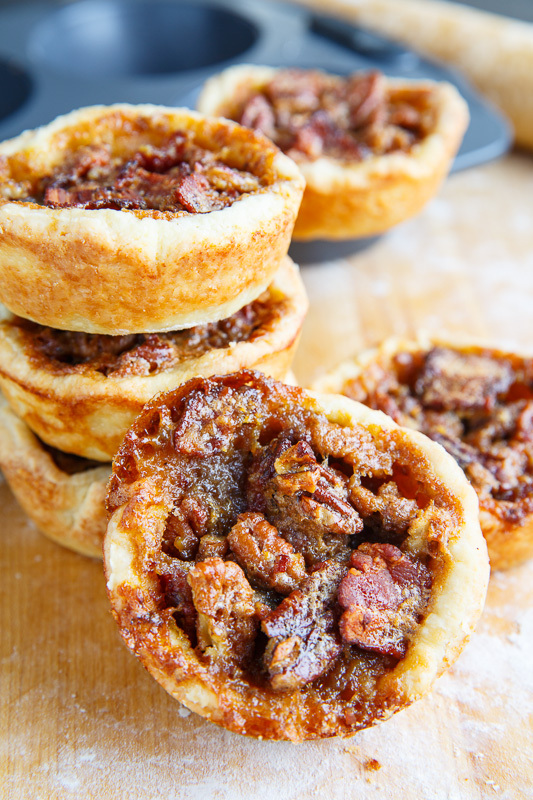 It was that idle thought that led to these bacon and pecan butter tarts and I have to say that the sweet and salty combo is amazingly fantastic in them! In addition to the sweet and salty aspects the bacon adds a nice subtle hint of smokiness to the tarts which makes them that much better! 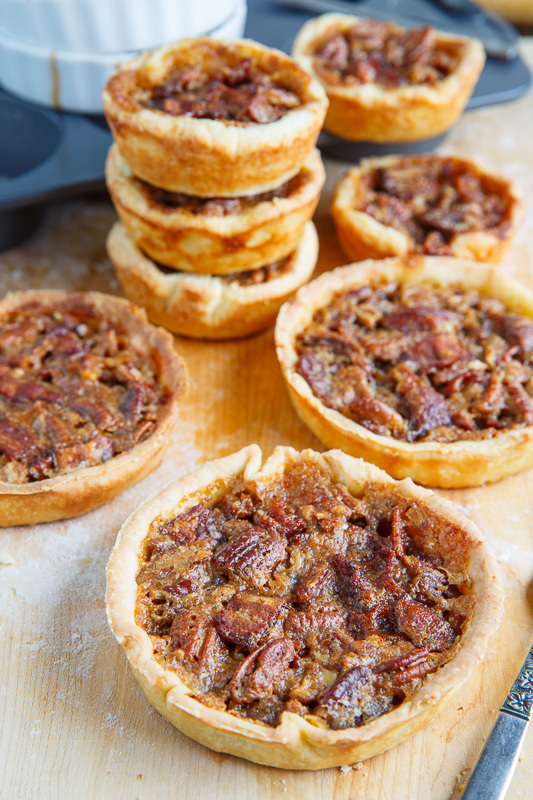 If you are a fan of bacon and butter tarts or pecan pie then you just have to try these bacon and pecan butter tarts! I sometimes like to make butter tarts in larger pans! Roll the pastry out to 1/8 inch thick and cut out 12 4-5 inch circles, pressing them into the holes in a muffin baking pan. Chill the muffin pan in the fridge for at least 30 minutes. Meanwhile, mix the egg, brown sugar, maple syrup, butter, vanilla extract, salt, pecans and bacon and pour the mixture into the tarts. Bake in a preheated 350F/180C oven and bake until set, about 15-25 minutes. Option: Remove or replace the pecans and bacon with your favourite ingredients. 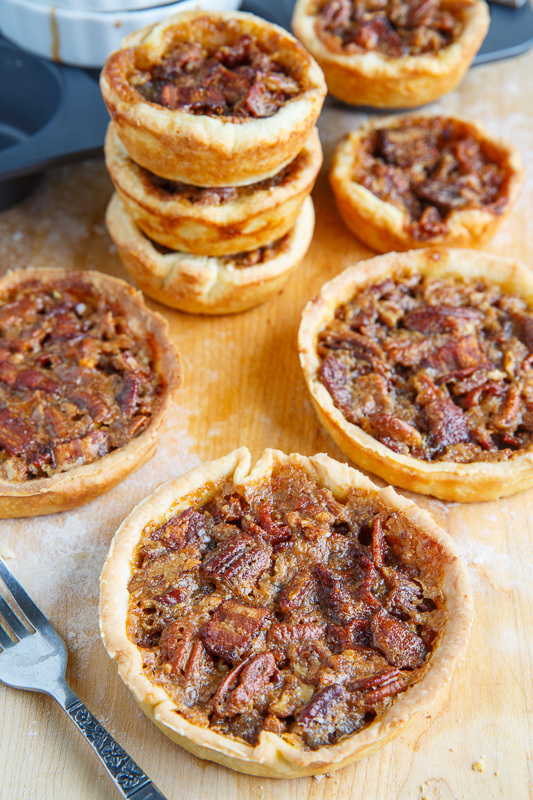 Option: Add a splash of bourbon to the custard mixture to make maple bourbon bacon butter tarts! NotesFromAbroad: Thanks and Merry Christmas to you!